Now I needed to find employment. 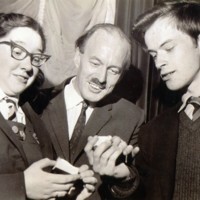 Cecilia had been applying for jobs for me before I got home and I had a couple of interviews but was unsuccessful. 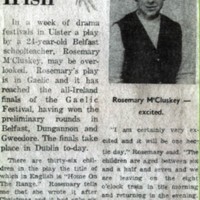 A newspaper article about an Irish play that Rosemary wrote for a drama festival in Ulster. And I am Irish too. 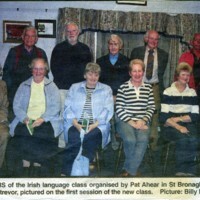 This picture shows one of the Irish groups with which Mary has been associated. Mary is seated in the front row, middle.